· The product in the packaging is very secure. I got all the accessories that come with it. Everything looks protected and neat. · I washed the spinner before I used it and it's very quick and easy to wash, just make sure you are careful with those grating blades they are quite sharp. I manually washed it since I don't have a dishwasher. · Easy to use the spinner, when I spun the spinner it spins at the speed you want it to spin. · I'm satisfied to the dryness of my vegetables/fruits whenever I used the spinner. · The lid is very secure and it also has locks that I find very much useful. · Easy to relock the lever, flatten and slide the lock tab forward, and backward if you unlock it. · I like the sharpness of the grating lid and 5 different kinds of blades that comes with the product. · The gripper is fascinating, I get addicted using the gripper towards my fruits, something I've always wished to obtain. Because it helps me secure my fingers while I am grating. This makes making salad so easy! I love that it has a top that you can use for cutting your veggies too. So nice! I love that it has those grating atachments. I have a salad spinner but no atachment like that. Thanks for the review of the product. I would still love to make my salads the conventional way though. I need a salad spinner, too. It's quite a helpful tool in the kitchen. Ay, mayroon pa lang ganito. This will come in very handy and useful in our kitchen. 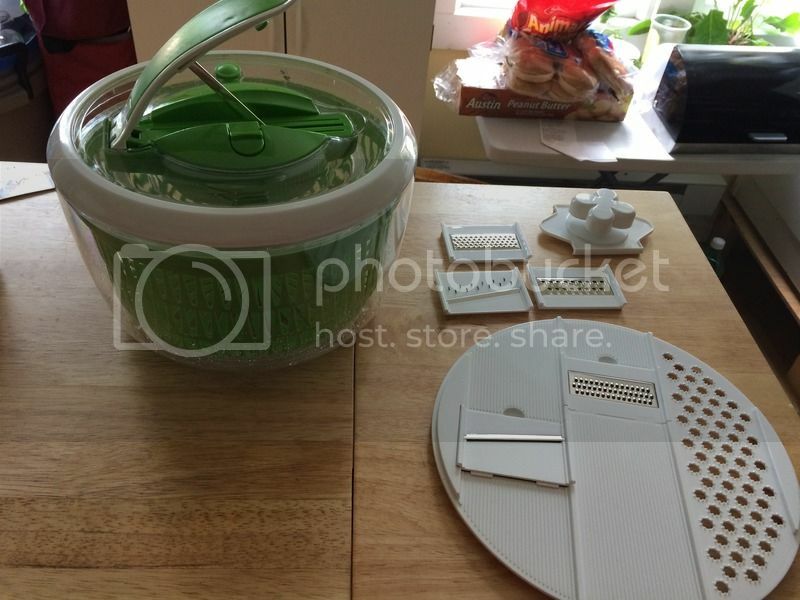 I love that salad spinner Mommy N. What a perfect kitchen accessories to save us from all the preparations especially when we are having a party.